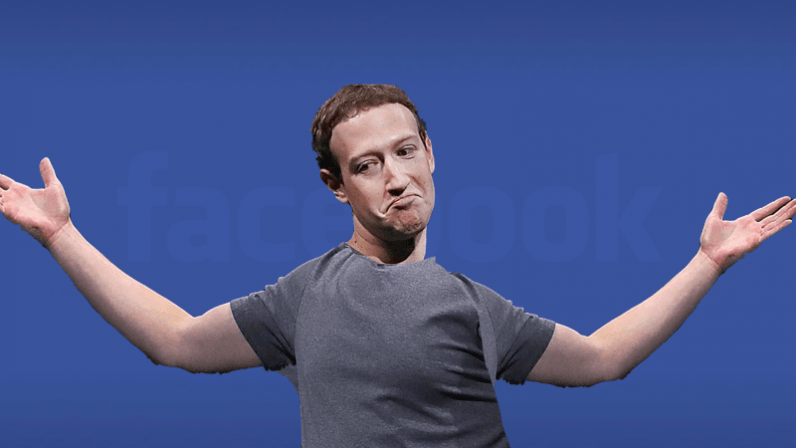 We should have known that Facebook was abusing our data. Why? Because lots of privacy activists told us so. Since most of them are too good of a human to rub that in our nose, we went ahead and forced them to accept our spoonfed quote. Hopefully, next time we will listen. “One more thing: I think this is the moment of ‘peak indifference.’ We spent 20 years trying to get ppl to care about privacy, but failed, for the same reason that climate change warnings fell on deaf ears: a powerful mix of expensively sown doubt from profiteers and the difficulty of understanding consequences that are separated by a lot of time and space from their actions. No one could get better at hitting a ball if they only found out which swings connected twenty years after the fact — the outcomes of our privacy choices are often not manifested for decades. Once the consequences roll in — whether its Cambridge Analytica or Hurricane Maria — we hit peak indifference. From now on, the number of ppl who understand there’s a problem will only ever go up, because we’ve carbonized the atmosphere (and also filled the online atmosphere with critical masses of immortal personal information smog) and the effects of that pollution will mount and mount, remorselessly, and it will become harder and harder to deny that there is a problem. “Yes, I’ve been warning about the dangers of surveillance capitalism and data collection by the likes of Google, Facebook and the entire adtech industry for years. In fact, here, “have a cookie” because you’re being tracked by those same companies as you read this very article on The Next Web. (Unless you have a tracker blocker active, that is.) No, there’s no pleasure in being right about this. Especially when this toxic business model is so ubiquitous that you cannot even read about it without being exposed to it. “I would actually say that the “I told you so!” is more about individuals’ responsibility for understanding what is going on… rather than expecting a for-profit, Silicon Valley company to be a protector of their products’ “rights.” (And it’s certainly not about FB in particular, because I probably said it back in the 90s. Facebook’s product is users’ attention (sold to advertisers), and that has been clear for a long time. Yes, in addition FB was extremely careless in terms of monitoring third parties’ (e.g. Cambridge Analytica’s) behavior. But to say that this is unexpected or a surprise is about as sensible as saying that sexual harassment by people with power is a surprise. “Everyone” knew, but there was collective reluctance to take on the issue at a scale that would actually have impact. And now, in both cases, things have changed. “If you quote me as saying ‘I told you so,’ in a context that limits it to Facebook, that would misrepresent me. It would be a gross understatement. What I have told people, for years, is: The only database of personal data that can’t be used to hurt us is the one that is not collected. For your freedom’s sake, join me in rejecting and resisting systems that collect data about our actions, communications and movements.